Princess Christian’s Farm works with students who have learning difficulties or disabilities and helps them learn about agriculture and how to run a farming enterprise. We run a mixed farm, producing our own lamb, beef, pork and chickens, plus 1,000 eggs a day. All the produce is sold locally either at Hadlow College’s farm shop or our own farm shop. The college’s kitchen also buys some of our produce and we supply its eggs. Education: It is a great job as it is teaching students practical skills for the future. I did not grow up on a family farm but I have always been interested in agriculture and got my first job helping out a local farmer harvesting hay and straw when I was 15. Gradually I built up my farmwork experience and managed to get a regular slot helping out with lambing at a farm in Lamberhurst. They lamb 400 ewes and my time there has been extremely valuable. I have learnt how to deal with difficult births and feel this hands-on experience is important. I am hoping to get the same experience with calving. 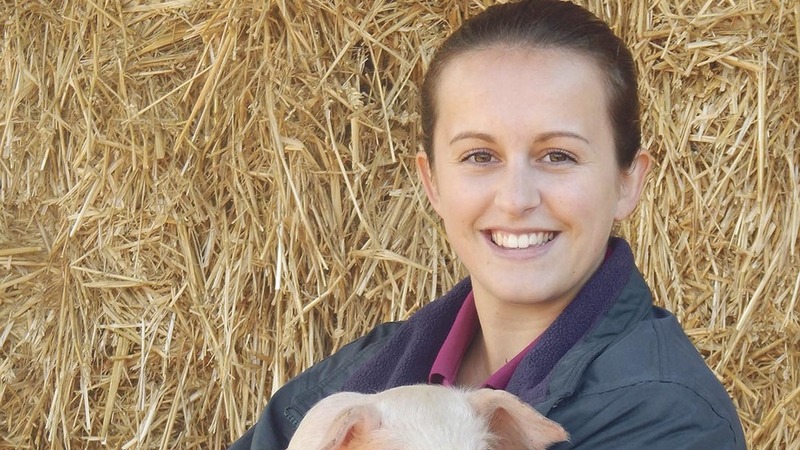 Young Farmers: Because I was not brought up on a farm, getting involved with Young Farmers really helped me gain experience in the sector and make valuable contacts. I started off at Valley Park before moving to Cobtree. The YFC got me into showing and we have competed at a number of agricultural shows including Kent County. Showing: I think shows are a vital part of the industry because they are a great way for farms to get their name out there and to be able to show off the quality of their animals. They are also a great social occasion and a lot of fun. Teaching: I would like to stay in the teaching profession and eventually I would like to lecture in agriculture or animal management. For people like me who are interested in the industry, but do not necessarily have an easy or straightforward route in to it, education is vitally important. YFCs also have an important role to play and do a fantastic job of encouraging new starters, even if they do not know how to quite get going. It can be quite daunting to enter an industry you know little about, but for those with the passion to succeed it is important we encourage and motivate those people.